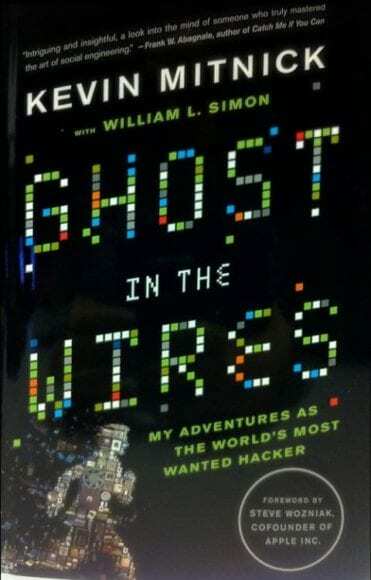 Interviewed by Hak5 tech show’s Shannon Morse, the legendary former hacker Kevin Mitnick unveils exciting facts of his intricate and captivating life story. Shannon Morse: Today I am so excited to have Kevin Mitnick in this studio. Now, Kevin, you are known as the world’s greatest, most wanted hacker. So I have a question. Can you really hack NORAD1 and fire off missiles? Kevin Mitnick: Well, you know, if I told you I’d have to kill you, but I don’t want to do that. But I’ve been practicing and I understand you guys might play the secret whistling codes at the end of your show. – Oh my gosh, that’s hilarious. – And when this guy said it, I laughed in open court because it’s so ridiculous. – Was NORAD even online through the telephones at the time? – I have no idea, I never had looked. So the judge actually made it an order that they had to ensure, when I was detained, that I didn’t have access to a phone, so the only place that they could put me was solitary; that was for 8 and a half long months. – That’s horrible. I mean, you’re not the kind of person I would generally think of seeing in solitary confinement. – No, it’s usually, like, when you kill a prison guard, kill another inmate, you know, you’re the Mexican mafia. – I don’t think you’re mafia, right? Ok. 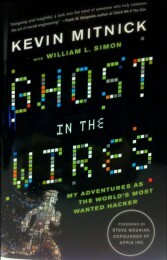 So, Kevin, you wrote this book called ‘Ghost in the Wires’. I’ve read it and I thought it was incredibly awesome. It’s like a sci-fi thriller. But for anybody who hasn’t read it: what is it about? – Well, it’s kind of about me and my adventures as a hacker from when I was a 12 year-old. My first hack was hacking the bus system in Los Angeles. There were no computers at the time, and I remember as a young kid I was riding on the back of the bus. And in Los Angeles at the time they would give you a transfer if you paid an extra dime. It was this piece of paper, and it had the driver-punched holes, meaning what bus line it was, what direction you were going. But it was a special punch. Every bus driver had unique shapes. You know, when you get free car wash after 10 washes – that type of thing. – Oh, yeah, I have so many rewards codes for all the shopping that I do – trust me, I know about the hole punches. – What kind of project would a 12 year-old be doing? – I don’t know, I made it up on the fly, because I wanted to get the answer. I used to punch transfers for people just sitting at the bus stop. – It was totally innocent, so he believed you? – He believed me; he told me the name of the store. I borrowed $15 from my Mom – and I go get the punch. But then the problem was: where do you get the transfers? So, as a kid I was thinking: “How do these guys drive a bus for 8 hours a day? They’re probably not going to clean the bus.” Probably some maintenance guys do it and throw everything in the garbage. So I rode my bike over to the bus depot, and this was my first experience with dumpster diving. It was out in the public area and I climbed over the dumpster, and I pulled myself over. It was like a jackpot. It was all these discarded books of transfers. And so I was riding around LA for free and I had no idea that what I was doing was wrong, because even when other people were waiting at the bus stop, I’d say: “Hey, I can punch you a transfer!” I used to punch transfers for people just sitting at the bus stop. – That’s very kind of you to do that. That’s so nice! – Yeah, a good Samaritan. – So, you ended up going to jail for things that people thought you had done, and going through a ton of court, and you even ended up in solitary confinement at one point. That sounds like it would be really hard to share with the world. So, why did you write the book? – A lot of people really didn’t know my story. There were 3 books written about me: ‘The Fugitive Game’, ‘Takedown’, ‘The Cyberthief and the Samurai’. And they all got it wrong. You know, they pretty much interviewed the police, interviewed people that were, like, former friends of mine and made up stories, like the NORAD story for example. And I thought it would be great to get out my story, because it was so interesting. And I spent my life kind of as a hacker, and I wanted to get the true story out – that’s really the reason. 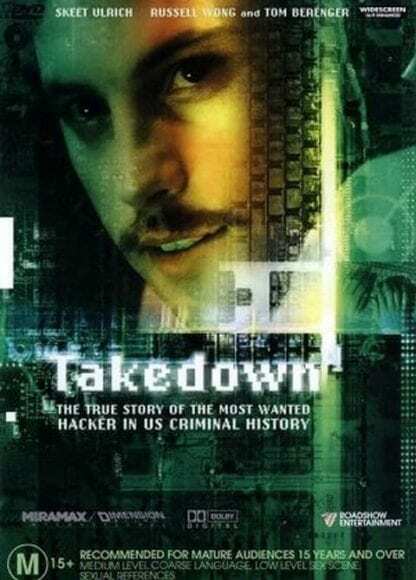 And they made a motion picture about me that wasn’t true, called ‘Takedown’. The movie sucked. Don’t go see it, it sucked. – I kind of want to see it, just to laugh at it. – It’s funny because I’m friends with one actress and one actor that played in the movie in real life now – Donal Logue and Angela Featherstone. But the movie was, like, horrid. I mean, what ended up happening is I was in jail, and my attorneys negotiated with the motion picture company Miramax and Dimension Films to do script changes and all this other stuff and pay me a financial settlement because it was liable. – So, they didn’t really talk to you about the script or anything? – No, they took it mostly from the book ‘Takedown’, which was untrue as well. So, how would you like that: you wake up one day and somebody’s making a movie about you that’s not true. – It’s like “Hey, that looks awesome, but you got that part wrong, sorry”. 1 – NORAD (North American Aerospace Defense Command) is a joint organization of Canada and the United States that provides aerospace warning, air sovereignty, and defense for the two countries.